It is a long way to Irkutsk, deep inside Siberia and near the shore of Lake Baikal, but the trip was well worth it...After all, it is not every day that a brand new airliner type is unveiled! 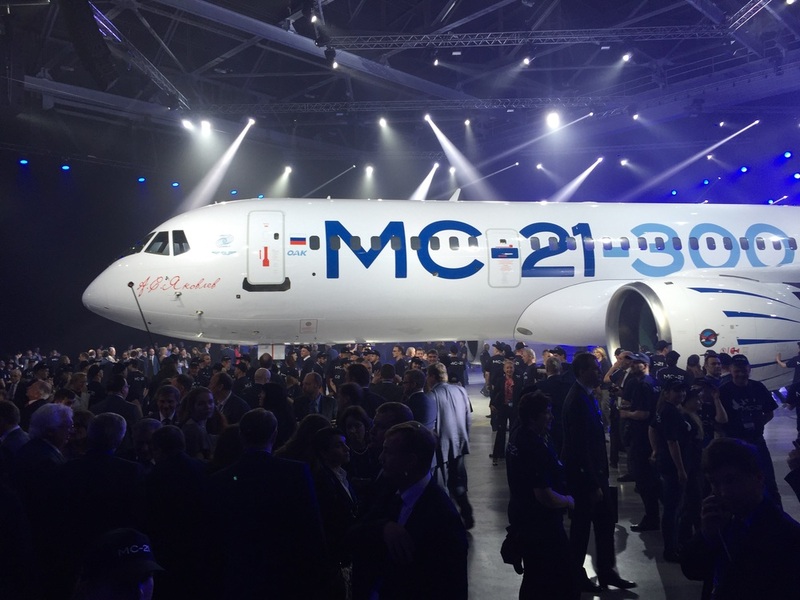 The MC-21, presented with impressive fanfare on 8th June, represents Russia's comeback to the mid-size commercial aircraft segment, the bread-and-butter of the commercial aircraft industry. In 2013, during the Paris Air Show at Le Bourget, we had already the chance to see a mock up of the MC-21 cabin, but this time it was the real thing! The occasion was marked by an impressive ceremony, that counted with the presence of Russian Prime Minister, Dmitry Medvedev, who highlighted the significance of this milestone, as well as top figures of the United Aircraft Corporation and Russian industry. Renowned Russian pianist Denis Matsuev performed on the main stage, while Russian TV broadcasted the key moments of the ceremony live to the whole country. 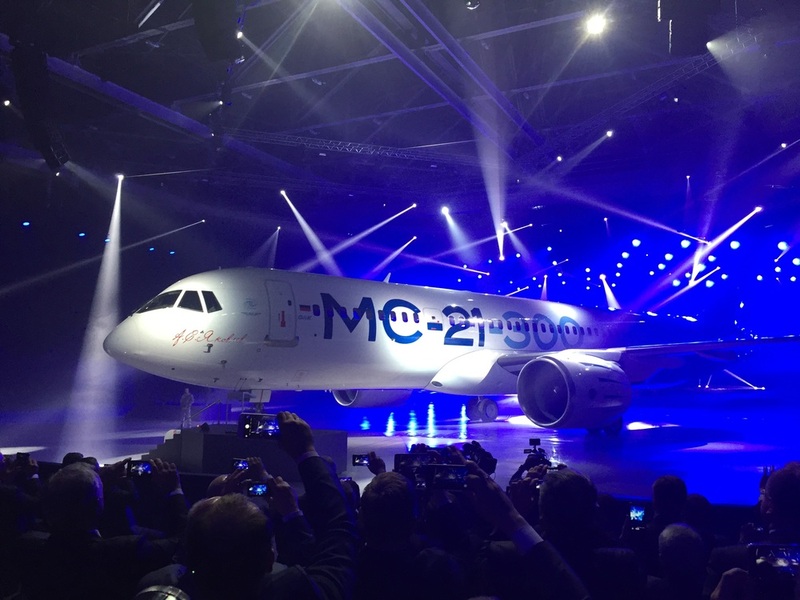 The prototype presented on Wednesday was a MC-21-300, for up to 211 passengers, the middle of a family of three, which should end up including a smaller -200 and the larger -400 version. When it comes to its commercial prospects, no one denies the task ahead, to carve up a share of the very competitive single-aisle mid-size market, is formidable, as the MC-21 will be competing head on with the likes of the Boeing 737 and Airbus A320, so far the best-selling airliners in history. Irkut, the MC-21 manufacturer and part of the huge United Aircraft Corporation, the government-owned holding that groups together most of Russia's aviation industry, can count on the Russian market, from where most of the existing orders have come so far. For example, Aeroflot, Russia's flag carrier, is expected to take 50 of the type. During the MC-21 presentation it was also announced that Azerbaijan Airlines was ready to order 10 of the type, which will bring the total closer to the 200 aircraft mark. 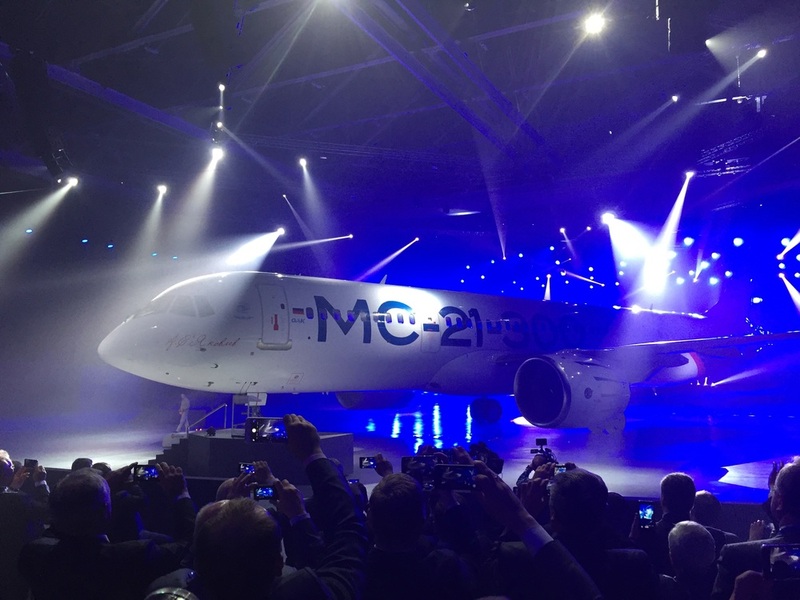 Curtain's off and here comes the MC-21! About to come face to face with the MC-21!